Sock Fancy is a monthly sock subscription service that sends you random socks every month. Sock Fancy actually designs their own socks, which makes them even cooler. 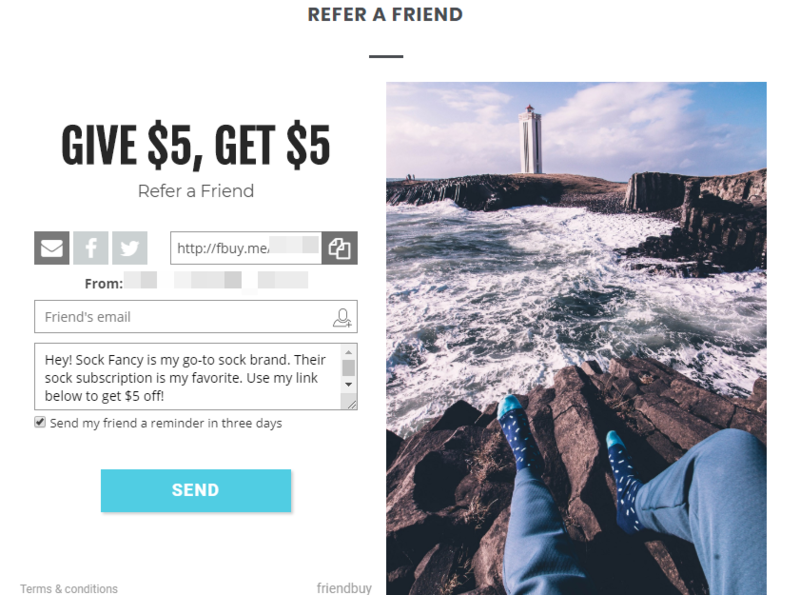 While the text and images are engaging, this referral program is not functional. 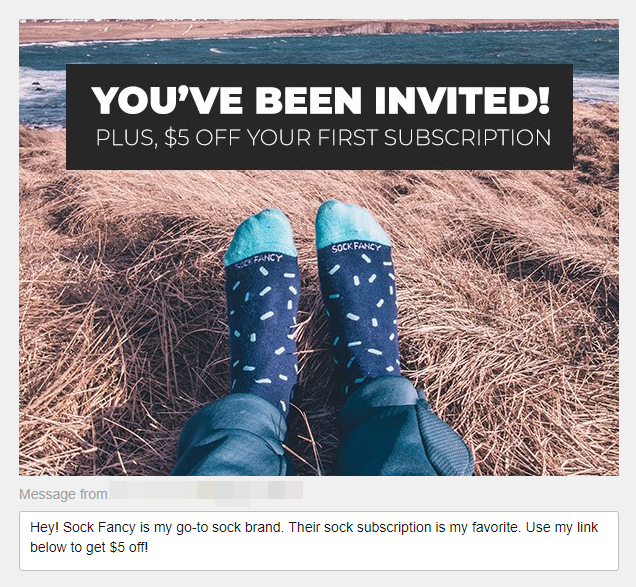 Sharing Sock Fancy’s prepopulated refer a friend email provides instructions to click on a referral link but does not offer a link. 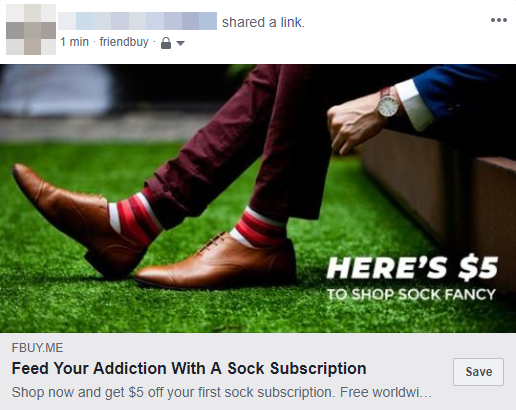 Clicking on a participant’s Facebook post or link redirects you to their website, and no discounts are applied when purchasing a subscription. This program offers a $5 credit towards the referral’s new subscription. It is unclear whether the participant receives $5 in cash, gift card, or store credit. Unfortunately, the Terms of Service does not mention the referral program so we are unable to clarify.